Eileen Perini took up running when she was a mother, raising five children. This photo was taken in 1978. As a pioneer in focusing attention on cancer survivors’ quality of life, Eileen Perini drew inspiration from her son’s years-long remission and forged a steady resolve from grieving his death. Mrs. Perini, who had lived in Medfield and Cohasset, was 80 when she died Saturday of complications from dementia. With her husband, David B. Perini, she raised more than $11.5 million and launched a center and programs at Dana-Farber Cancer Institute to advance research and clinical care for cancer survivors. “The family has quite a long, rich history with Dana-Farber, and Eileen carried that on,” said Susan Paresky, Dana-Farber’s senior vice president for development and the Jimmy Fund. The late Louis Perini, a former principal owner of what was then the Boston Braves, was a founder of the Jimmy Fund, and he was Mrs. Perini’s father-in-law. Mrs. Perini helped expand the family’s involvement into new realms after seeing the challenges her son faced while in remission. With her husband, a former chief executive of the Perini Corp. construction company and former commissioner of the state Division of Capital Asset Management, she established the David B. Perini Jr. Quality of Life Clinic in memory of their son. That clinic focuses on survivors of children cancers, and the Perinis also created an endowment in 2010 to support in perpetuity the Adult Survivorship Program, which is part of the Perini Family Survivors’ Center. Joining Dana-Farber’s Board of Trustees in 1990, the year her son died, Mrs. Perini served on key committees for the institute and the Jimmy Fund, and she became a distinguished trustee in 2014. 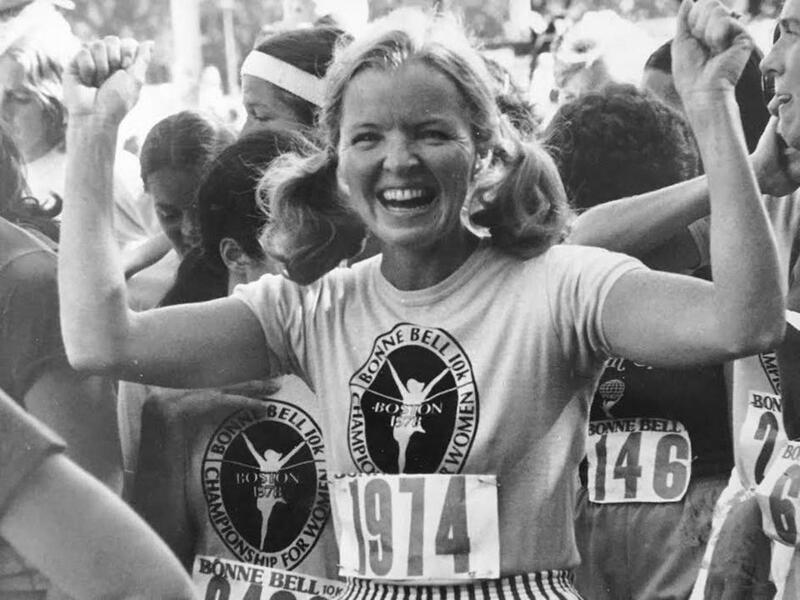 She also participated directly in fund-raising as captain of the family’s team in the Boston Marathon Jimmy Fund Walk for 29 years, beginning when David was still alive. Mrs. Perini also was a force behind such fund-raisers as the David B. Perini Jr. Memorial Golf Tournament, held for 19 years, and the family’s team in the Pan-Mass Challenge. “Doing something like this enhances you as a person,” Mrs. Perini said in the 2002 interview about her work supporting Dana-Farber initiatives. The fifth of nine children, Eileen Callahan grew up in Arlington, a daughter of Denis Callahan, who owned a pub, and the former Margaret Lynch. Along with graduating from Arlington High School, she won pageants in her late teens and was Miss Arlington, Miss Lexington, and runner-up in a Miss Massachusetts contest. In 1957, she graduated from Cardinal Cushing College, a small women’s college in Brookline. While raising her children, Mrs. Perini took up running and earned the nickname “Smileen” in the neighborhood, because she smiled so readily during training runs, no matter the weather. In her 40s she returned to school, graduating from Wellesley College in 1984 with a bachelor’s degree in psychology, and from Boston College four years later with a master’s in clinical social work. Mrs. Perini subsequently counseled students at BC for several years. At work or in social situations, Mrs. Perini “was fascinated with people,” her daughter Jennifer recalled. In addition to her husband, David, and daughter Jennifer, Mrs. Perini leaves three other children, Kristin of Hingham, Timothy of Harrison, N.Y., and Andrea of Brooklyn, N.Y.; five sisters, Mary Guarente of Weston, Margaret Callahan of West Yarmouth, Noreen Cronin and Kathleen Grannan, both of Arlington, and Christine Shanley of Bonita Springs, Fla.; a brother, Denis Callahan of Avon; and 10 grandchildren. A funeral Mass will be said at 1 p.m. Thursday in Most Precious Blood Church in Dover. A rite of committal will follow in Woodlawn Cemetery in Wellesley. And so from him she took her cue: “David always used to say to me, ‘Mom, I want so much to live a good life.’ ” When illness left him ineligible for the Peace Corps, he volunteered to do everything from sweeping floors in Brookline’s Ronald McDonald House, which hosts children undergoing cancer treatment, to teaching an elderly man to read.